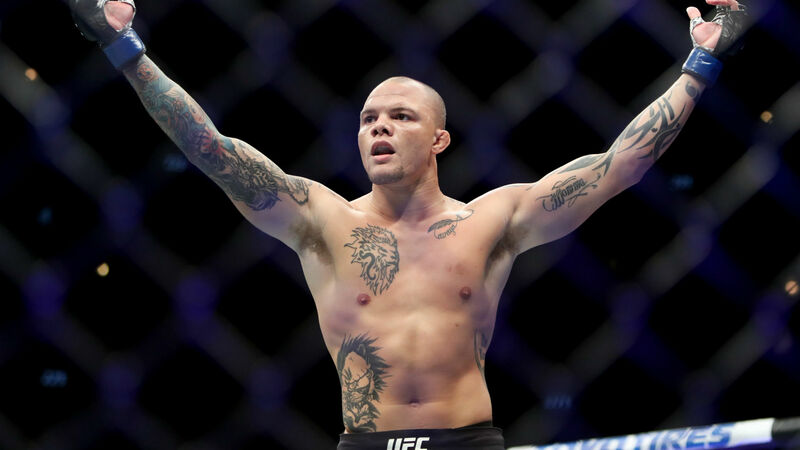 Anthony Smith felt making the move from middleweight to light heavyweight would be best for his career. He had started to struggle making weight at 185 and the effort to shed the pounds affected his performance, especially in his last fight in the weight class — a second-round TKO loss to Thiago Santos this past February. The switch to 205 pounds has looked to be career-defining thus far, as Smith scored back-to-back KOs against Rashad Evans in June and Mauricio “Shogun” Rua in July. And it took him a combined two minutes and 22 seconds to do so. Smith thought the pair of victories in a six-week period would quiet critics, but that wasn’t the case, as all he seemed to hear was chatter about how Evans and Rua are well past their primes, instead. Smith (30-13) is at the point, where he’s tired of hearing the constant criticism. He’s tired of people discrediting the hard work he has put in to get to this stage of being a championship contender. Now, the 30-year-old plans on silencing his naysayers when he takes on Volkan Oezdemir, who the last fighter to challenge light heavyweight division kingpin Daniel Cormier, before Cormier moved to heavyweight. Smith will clash with Oezdemir in the main event of Saturday’s UFC Fight Night in Moncton, New Brunswick, Canada. When asked why critics don’t give him respect for the superb showings against Evans and Rua, Smith initially couldn’t put a finger on it. After thinking about it further, he was able to pinpoint an answer. The Nebraska native believes his fighting style has prevented fans from gravitating to him. If Smith is victorious on Saturday, a title shot versus the winner of the Jon Jones-Alexander Gustafsson fight at UFC 232 would seemingly be on the horizon in 2019. “Lionheart” knows what the hard-hitting Oezdemir brings to the table. But he’s viewing this bout as an opportunity to prove a point. He’s just not holding his breath for critics to give him respect.